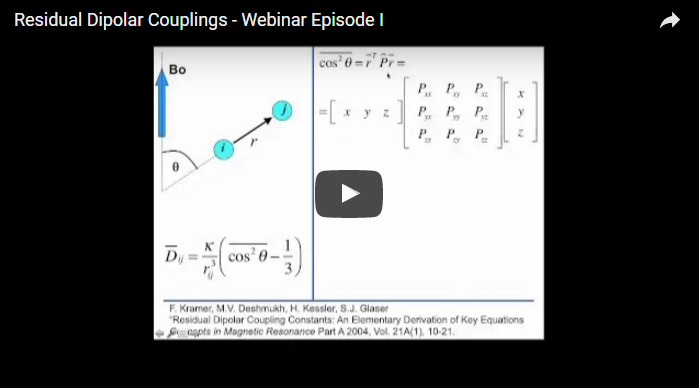 Dr. Roberto R. Gil, Research Professor and Director of the NMR Facility at Carnegie Mellon University in Pittsburgh, PA, US, kindly gave a series of three free webinars about Residual Dipolar Couplings (RDCs) between March and April. The theory behind the alignment of small molecules, different types of alignment media and how RDCs are measured. 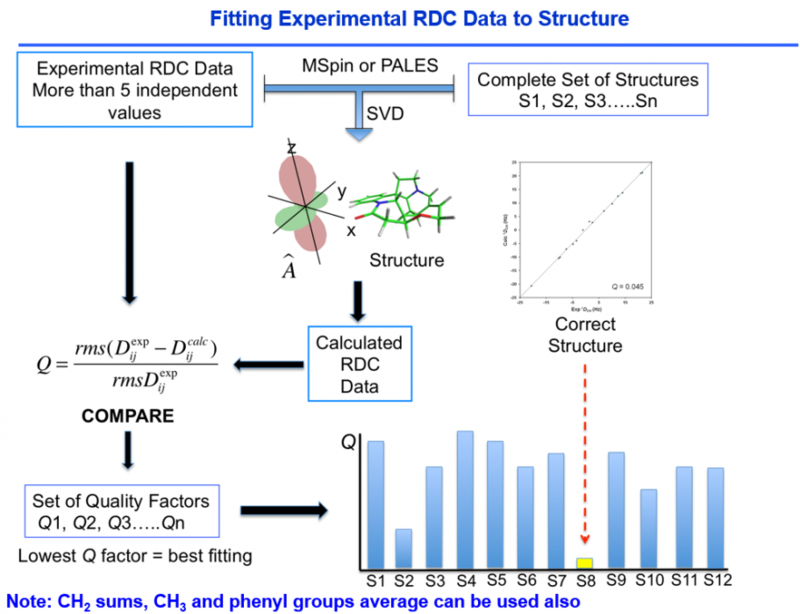 Once RDC data is available for a given molecule, the procedure of fitting the data to all possible structures will be explained using the software MSpin, written by Prof. Armando Navarro-Vazquez and commercialized by Mestrelab Research. The application of RDCs to solve relevant and challenging structural problems in Synthetic and Natural Products was described. This third webinar was about how to experimentally measure RDCs; from sample preparation to structure. The users will be surprised about how easy and straightforward is to measure RDCs using compressed and stretched PMMA-based flexible gels swollen in CDCl3 and DMSO. Gels cleaning, sample preparation, gel sample shimming, collection of RDCs, among other tricks was described. Constitution (2D structure) of most small molecules can be in principle straightforwardly determined by manual or automatic analysis of a set of experimental data that includes the molecular formula, a series of 1D and 2D NMR experiments providing trough-bond connectivity (COSY, TOCSY, HSQC, HMBC and ADEQUATE/INADEQUATE based experiments) and chemical shift predictions. This is the main concept embedded in automatic structure elucidation programs. Once the 2D structure is available, the determination of the relative spatial arrangement (configuration and preferred conformation) of all atoms in the molecule is a more challenging task that it is commonly addressed in NMR by using NOE and 3J coupling constants analysis, as well as recent developments on the application of DFT calculation of 13C chemical shifts. However, it is difficult to assess how many samples are sitting on the laboratory’s refrigerators waiting for an independent methodology that could lift some of the ambiguities generated by the use of conventional NMR methods. 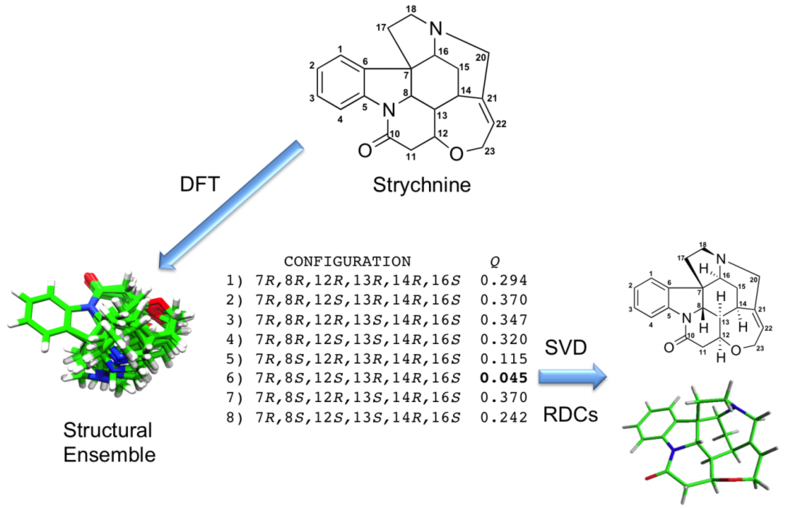 The development of the application of Residual Dipolar Couplings (RDCs) to the configurational and conformational analysis of small molecules has matured enough in the recent years. To perform this task is an almost straightforward way, without even the need of using NOE and 3J coupling analysis, as it will be presented here for the analysis of rigid and semi-rigid small molecules. 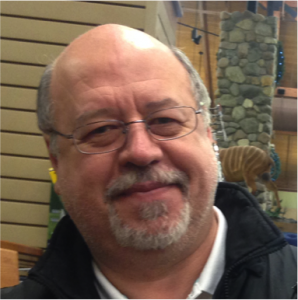 Roberto got his Ph.D. in Natural Products Chemistry (1989) from the University of Córdoba, Argentina. In 1992 he received an external post-doctoral fellowship from the National Research Council of Argentina (CONICET) to work at the University of Illinois at Chicago in the field of bioactive natural products from plants. In 1995, he returned to the University of Córdoba where he started his own research group as Assistant Professor. In 2000 he spent a year as Visiting Professor at Carnegie Mellon University working in Protein NMR. In 2002, he moved to Pittsburgh, Pennsylvania, where he currently holds the position of Research Professor and Director of the NMR Laboratory of the Department of Chemistry at Carnegie Mellon University. His research interest is aimed at the development and application of NMR methodologies to the analysis of the structural and physical properties of small molecules in general, with particular interest on NMR in oriented media.